Homeschooling your children can be difficult. Faith, family, finances, and your child's education are just a few of the things you have to consider. And in the midst of it all, you have to find time to take care of yourself. The Well-Trained Mind will instruct you, step by step, on how to give your child an academically rigorous, comprehensive education from preschool through high school - one that will train him or her to read, to think, to understand, to be well-rounded and curious about learning. Those who have made the decision to homeschool their children have done so out of great love for them and a desire to provide them an excellent education in the context of a warm, enriching home. Yet so many parents (mainly mothers) who have taken up this challenge find the enterprise often full of stress, worry, and anxiety. Amazingly Insightful and soul nourishing! Every parent and teacher wants to give children the best education possible. Everyone would like education to be a joyous adventure and celebration of life, as well as a solid preparation for living. Sadly, most education today falls far short of this goal. Inspiring; a must read for all educators! Have you ever thought about home schooling your children? Have you wondered what the benefits of home schooling are? Home schooling is the process where parents take over the educational process of their children. The children are not sent to a public or private school they are taught at home. The major benefit of this is the one on one teaching that occurs. The children are taught by someone who is concentrated solely on the child. 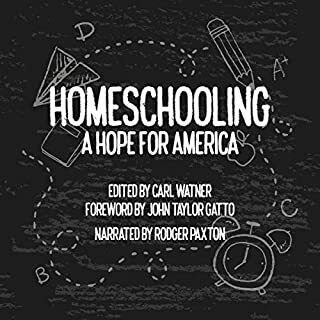 Homeschooling: A Hope for America is a collection of articles taken from The Voluntaryist, a newsletter with a libertarian outlook which has been published since 1982. The anthology has been assembled by Carl Watner (from many of his past articles, as well as those of others), and contains an original foreword by John Taylor Gatto. This anthology argues against government education in a unique way. One who advocates voluntaryism opposes government schools, not because he opposes schooling but, because he opposes coercion, which is to be found in government taxation, compulsory attendance laws, and in the monopolization of public services. Most of us would agree that there should not be any state religion; that religion should not be supported by taxation; and that people should not be compelled to attend religious services. Why shouldn’t the principles of voluntaryism in religion apply to education? There is a certain stigma when it comes to home schooling but there are a lot of benefits with home schooling that most people do not even know! Homeschooling 101: Beginner's Guide On How To Homeschool Your Child will teach you how to get started with homeschooling. From homeschooling on a budget, getting your kids involved in sports, socializing and learning. Do you need parenting advice on how to inspire your child to love learning? Whether you homeschool, or send your kids to public or private school, this is essential listening for your situation. Why? Because schooling has become a disaster. Your child's interests and uniqueness are disregarded, and structured curriculum and standards like Common Core place them on a conveyor belt that treats all children the same. This system crushes a child's curiosity. Your child deserves better! Teens graduate high school with about one year of college under their belts, but motivated teens can finish their degree. Homeschooling for College Credit brings the goal post closer and teaches you how to pay cash as you go. If you want to learn how to homeschool from someone who has real life experience homeschooling, then check out How to Homeschool by Jane Rodda. This is an excellent resource for parents. 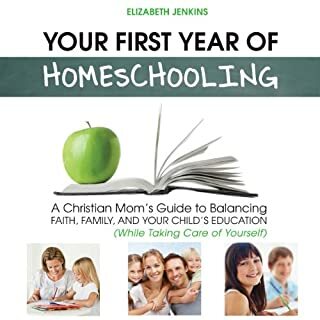 Whether you are merely considering the option, just starting out, or are an established homeschooler looking for advice and encouragement, this guide will suit your needs. 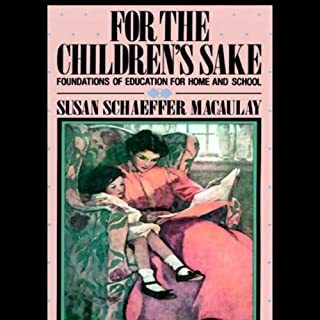 This beginner's guide to the Montessori Method of homeschooling for children ages two to six is written by parents who have embraced this method of educating their own children. It was written in hopes of simplifying the process for other parents and caregivers who are considering doing the same. The Montessori Method of education can best be described as an "Aid to Life" rather than a specific method of passing on academic objectives. Very brief; more suited for print. Thirty years in New York City's public schools led John Gatto to the sad conclusion that compulsory schooling does little but teach young people to follow orders like cogs in an industrial machine. With over 100,000 copies in print since its original publication in 2002, this book is collection of essays and speeches and includes a describes the wide-spread impact of the book and Gatto's "guerrilla teaching". John Gatto was a teacher in New York City's public schools for over 30 years and was a New York State Teacher of the Year. Connecting deeply with our kids can be difficult in our busy, technology-driven lives. Reading aloud offers us a chance to be fully present with our children. It also increases our kids’ academic success, inspires compassion, and fortifies them with the inner strength they need to face life’s challenges. As Sarah Mackenzie has found with her own six children, reading aloud long after kids are able to read to themselves can deepen relationships in a powerful way. Parents who are deeply invested in their children's education can be hard on themselves and their kids. When exhausted parents are living the day-to-day grind, it can seem impossible to muster enough energy to make learning fun or interesting. Author Julie Bogart distills decades of experience - homeschooling her five now grown children, developing curricula, and training homeschooling families around the world - to teach parents how to make education an exciting, even enchanting, experience for their kids, whether they're in elementary or high school. What can parents do to help their youngest children in their task of self-formation? How does the Montessori method of hands-on learning and self-discovery relate to the youngest infants? This authoritative and accessible book answers these and many other questions. Based on Dr. Maria Montessori's instructions for raising infants, its comprehensive exploration of the first three years incorporates the furnishings and tools she created for the care and comfort of babies. Whether you're a new homeschooler, or just looking for a better way to learn with your children, this guide offers the answers and encouragement you need to succeed. It can be difficult to find time to read but some books are better read than listened to. This is one of those books. I would have liked to sit down and taken notes it can be hard to take notes while listening during dishes or laundry. I will most likely buy the physical book so I can reread and take notes. I enjoyed how informative & clear this book was. Not full of repeat or unneeded things. O jave even been able to get some of the books mentioned at my local homeschool store. 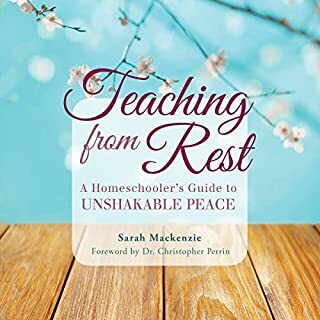 This book gave practical suggestions for homeschoolers and being a first time homeschooler of a 15 year old and a 11 year old it gave me a sense of relief. I felt like I could do this and be successful. Love! Love! This book!!! Very to the point and tons of details and references! 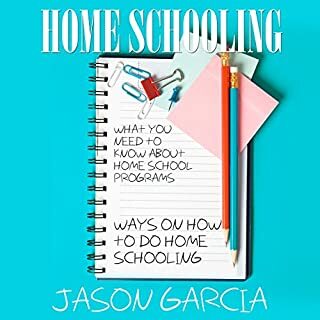 I highly recommended this book to anyone interested in getting started in homeschooling or just to help guide you if you are already homeschooling. Most homeschooling books like these are not available in audio, since much information can be used as reference. But for someone who only has time to listen for the highlights, I am so glad this is available and will purchase written copy so I can reference in the future. This book has given me a much more clear idea of what homeschooling is about. 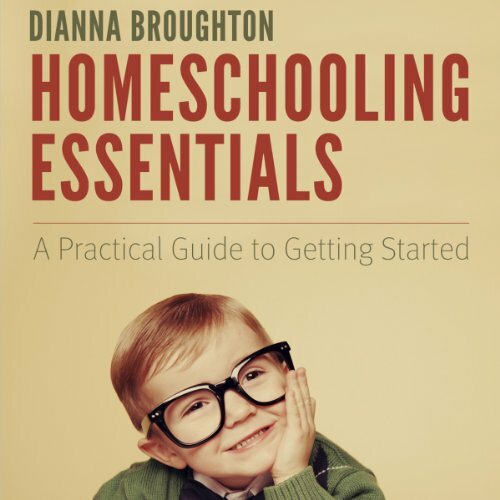 What disappointed you about Homeschooling Essentials: A Practical Guide to Getting Started? It seems like this book would be better suited to either the physical book or eReader book. 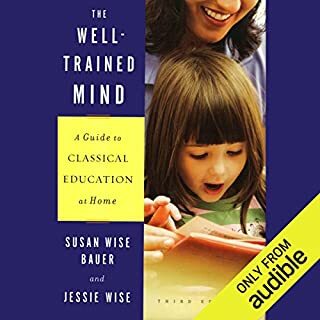 The author is female and in describing homeschool teacher she only refers to them as "she," yet the narrator of the audiobook is male. The first part of that is offensive, the second part is just plain weird. Some great information and resources but I would prefer it in book form for easy referencing.